Steel Blue is Australia’s largest manufacturer of safety footwear. The company has experienced strong growth since operations began in 1995 with the launch of the first Steel Blue products. More recently the company has introduced the Howler brand of footwear into Asia and South Africa. With Steel Blue’s goal is to manufacture and market the most comfortable safety footwear and safety boots in the world, the company prioritises the research and development of new cutting edge products, technology and customer service to expand the business into a world-class company.It currently sells into the Australian, New Zealand and Asian markets, and is about to enter the South African market. 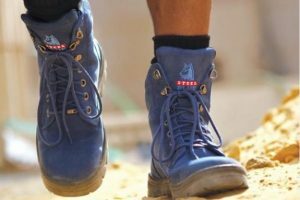 Two years ago it implemented Epicor ERP for Manufacturing to help it increase efficiencies in production and save time and money through improved supply chain management in its Malaga factory in Perth, which produces 180-200 pairs of boots a day. The Epicor enterprise resource planning (ERP) solution for manufacturing features strong material requirements planning (MRP) capabilities and helps Steel Blue to plan, schedule, execute and monitor its entire manufacturing business. From raw materials to final product, Epicor ERP provides a greater level of flexibility and agility for the boot maker. Apart from the core production management manufacturing module Steel Blueuses Epicor ERP for finance, sales and material management, using it to capture the costs for the 8000 different product SKUs, each of which has a different bill of material. “We use MRP to create the demand – Epicor prints out the job traveller which goes to the floor and goes through the manufacturing process from start to finish. Once the boots are boxed, we go into time and expense entry, and submit and close the ticket. Our manufacturing manager uses Epicor to run dashboards and reports to manage materials and BOMs. We run MRP once a week and it allows us to plan our production seven days ahead. It makes the system more efficient,” Halikis says. One of the biggest benefits of Epicor ERP for Steel Blue is the role it plays in supporting the company’s supply chain management. Epicor helps achieve supply chain visibility and remove processes that do not add value so Steel Blue can meet customer demands for faster delivery and lower cost by synchronising processes within and outside the company. Halikis says it is now much easier to manage Steel Blue’s third-party logistics (3PL) provider with Epicor ERP and has also helped to save the company money and time. “Manufacturing is a large part of what we do; however, from a logistics point of view the material management functionality is very important. We have a lot of stock in Perth and we opened up a 3PL in Brisbane to service our East coast customers. We manage our 3PL relationship through Epicor and it helps us to cut costs with shipping. It has saved us a lot of time and improved efficiency. It used to take us five to seven days to get stock from Perth to Brisbane, where as now it takes us two to four days. “We also use Epicor to manage our stock levels and get insight into what type of stock is coming out of Brisbane to our East coast customers,” continues Halikis. Additionally, Epicor integrates with Steel Blue’s 3PL warehouse partners for outsourced warehouse management. “We created a new plant in Epicor for the 3PL and we put a couple of BPMs (business process management) into the system based on certain criteria of where the customer is located and which plant the stock will come from. We then run the fulfilment workbench, reserve and release, and the Epicor system automatically sends out an EDI (electronic data interchange) file order to our 3PL provider and they pick it, pack and send it. Epicor creates an invoice and sends it straight to the customer via email,” says Halikis. All in all, the implementation of Epicor at Steel Blue has streamlined its manufacturing and supplier relationships, gained efficiencies and increased visibility across the organisation. Make sure you're well informed. 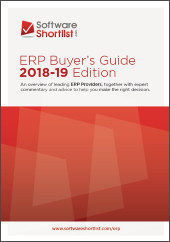 Download the ERP Buyer's Guide! Need a new ERP? 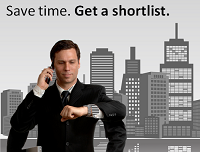 Use our convenient & free referral service.